A simple statement, and one I’ve come to realise really underestimates Blueberry Glass. For such a long time now (in fact 15 years!! ), Blueberry Glass has been the thing that keeps me inspired, motivated and happy. So why that statement? Well basically other people. In other social and sometimes work circles, when I’ve been asked “what is it you do?” I’ve almost always responded in a rather apologetic way. I work from home, by myself for myself….a craftworker (or at least that is what the car insurers call me, they struggle to find any other description to pidgeon-hole me in to), a ‘designer’ – well yes, I do design everything I make too. A manufacturer – yes, I make things! But is that the entire picture? Not really. It would be too easy to think that my business is only about making pretty things to sell. There’s the admin, bookkeeping, stock control, marketing, advertising…not to mention the events list I attend each year. Like any business, these are just as important for ‘working from home’ in order for things to run smoothly as any other. But would I have it any other way? NO! I LOVE what I do, I don’t resent Monday mornings or the office politics, the commute to work is no more than a few steps and best of all….I get to be creative every day J It’s never been 9 – 5 and I don’t want it to be either. I quite often have a cat appear at my feet meowing because I’ve missed the fact lunchtime was hours ago! 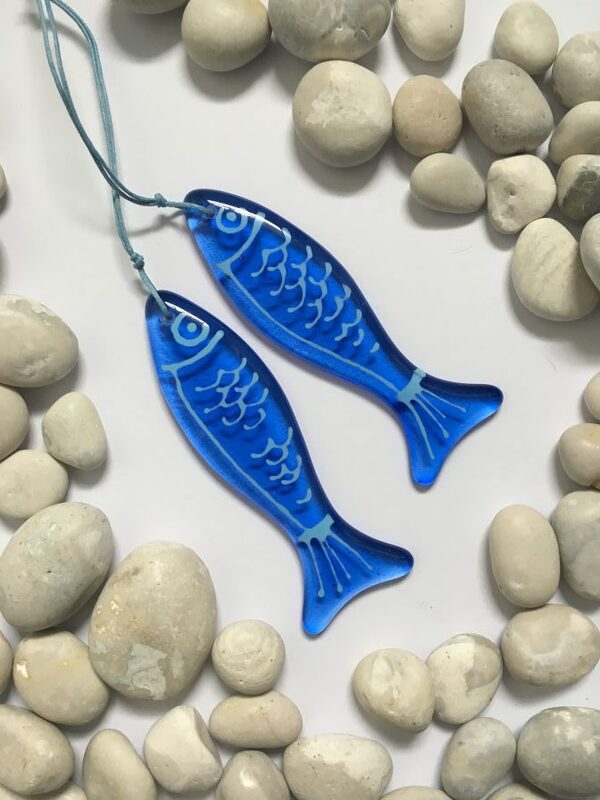 Thesedays I am more likely to say “I’m a maker, I design produce and sell fused glass both online and at events, and supply a number of galleries and giftshops.” I am proud of Blueberry Glass, it’s come a long way from a small kiln and a handful of ideas, people recognise my work and it continues to be popular. The day I wake up and feel totally uninspired will be the time to stop. It hasn’t happened yet and to be honest, with the sketches of ideas taped all over the wall of my workspace I don’t see that happening soon! All ticket details and directions can be found on their website. Phew, I’ve been really rather busy! Blueberry Glass is now at Quantock Art & Framing, at Proctors Farm, West Monkton, nr Taunton. A gorgeous location, with the framers at one end and some beautiful gifts and furniture for sale, there is also a sweet little café selling scrummy cakes! Who could resist? I am delighted to announce that Blueberry Glass will be supplying Powderham Castle for their newly refurbished gift shop! Not far from Exeter, head out on the Dawlish road and Powderham Castle is well sign posted. The grounds are simply stunning, and the Castle itself well worth a visit. Also, look out for events at the Castle…from arts to music festivals! Where can I buy Blueberry Glass? But if you would like to see any of the range, Blueberry Glass is available in a select few outlets around the West Country. A fabulous little gallery and gift shop in the seaside town of Burnham on sea, you find a very friendly welcome at this family run shop, and a great range of Blueberry Glass….some of which is not available online. Definitely worth a visit! Set in the heart of this lovely market town, Apple Tree Galleries excel in finding some of the best art and contemporary crafts in the South West. Found directly opposite River Cottage Café, they also have a small café area too, so why not sample some of their fine coffee and cake while you’re there! A quirky shaped gallery in historic Wells, Cinnamon Corner opened last year but already has a huge following for their art and contemporary makers. You’ll find everything from original paintings, sculptures, textiles, wood and of course glass 😉 Pop over on a Wednesday, have a wander around the market and visit the cathedral, but don’t miss out on Cinnamon Corner! Looking forward to all the Spring and Summer events so I can show them off some more!